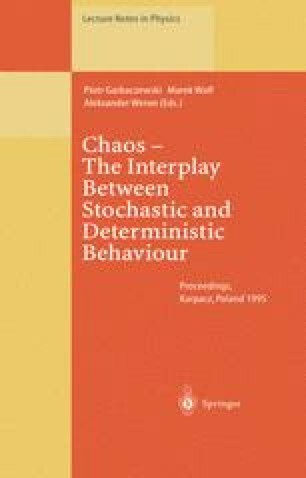 The authors make an attempt to understand the wave aspects of quantum mechanics within the framework of stochastic electrodynamics. The electron, considered originally as a point particle, is seen to perform a fine vibration of wave-number k c = mc/ħ sustained by the zeropoint radiation field; its interaction with the field waves of frequencies close to ω c = ck c gives rise to a modulation wave with de Broglie's wavelength. A heuristic analysis leads to the construction of the wave equation for the modulation amplitude. A few simple examples are given to illustrate the appearance of interference phenomena and quantization as the result of demanding that a standing modulation characterizes any stationary dynamical situation.